Doesn't your face deserve the broadest, high-quality sun protection? 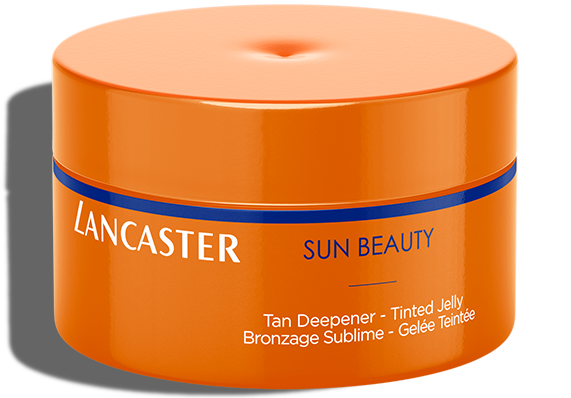 Lancaster's Sun Beauty Comfort Cream SPF50 brings you broad spectrum protection as it helps you develop a radiant, even tan. The unique formula combines our exclusive Full Light Technology, which targets 100% of the sun's rays, and our reinforced Tan Activator Complex. Enjoy that golden tan! Sun Beauty Comfort Cream SPF50 is specially developed for medium to dark skin, for a luminous, gorgeous and lasting tan while preserving your skin's beauty. It is ideal for skin that tans with difficulty and often burns. Sun Beauty Comfort Cream SPF50 provides broad spectrum sun protection for your face, while it moisturizes your skin and helps you develop a sublime tan. Apply Sun Beauty Comfort Cream SPF50 all over your face and décolleté before sun exposure. Keep your complexion beautiful with hydrating Sun Beauty Comfort Touch Cream SPF50. Apply generously all over face and décolleté before sun exposure. Apply Sun Beauty Satin Sheen Oil Fast Tan Optimizer SPF30* to protect skin from sun damage and get an even faster, deeper, flawless tan thanks to a reinforced Tan Activator Complex. Use generously all over before sun exposure. Re-apply frequently to maintain protection, especially after swimming, perspiring, towelling or prolonged sun exposure. Prolong your holiday tan by up to six weeks with Tan Maximizer Repairing After Sun Soothing Moisturizer. Apply generously all over face and body after sun exposure. Use daily during vacation and up to a minimum of 2 weeks on your return.